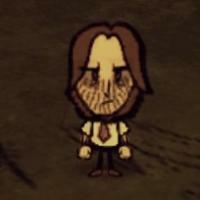 Bigby turns into a werewolf when he goes below 60 health. He's faster, stronger, and bigger. I've downloaded this file. How do I apply it to my game? In what place should I paste it? you gonna paste extracted file in mods folder. and thats it. yes, that is the correct thing to do, sorry for not replying earlier edu. I am so late on this but is there custom text?